Can the Blockchain Bring Honesty to Political Elections? Over the years, there have been a number of controversial elections hitting the headlines, whether because of rigging accusations or other shady dealings. Some of the most notorious in living memory include this year’s Hong Kong by-election where some candidates were disqualified because of their public stance on the issue of Hong Kong independence, the United States presidential election of 2016 with a close call between Hilary Clinton and Donald Trump where there were concerns about a potential tampering of votes and the Austrian presidential election of the same year, 2016, where the second round results were actually annulled before the election was re-run. With the weekly and almost daily rise in blockchain innovations, there has been scholarly speculation that the blockchain could hold the key to reducing and even eliminating corruption and deceit from political elections. In a recent article on www.brookings.edu (read the full piece here) , the idea of whether or not the blockchain could improve transparency in elections was explored at length. 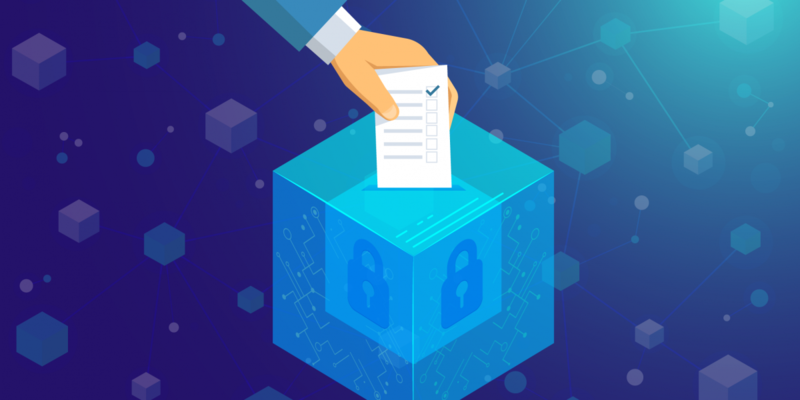 In May of this year, Virginia in the United States broke the mold and became the first US state to allow voters to place their votes online using the blockchain. While participation was low, it was in effect a real-life pilot test for the usability of the technology in that area. In the article, Kevin C Desouza, a non-resident senior fellow in Governance studies at the Centre for Technology Innovation and Kiran Kabtta Somvanshi, a visiting fellow in the IBM Centre for Business of Government, argue that using this kind of technology in elections could mean that fraud would be eliminated and voting turnout would be boosted. “It will make it more convenient for citizens to vote while abroad, irrespective of the distance and time. It is also a beneficial tool for the election commission to maintain transparency in the electoral process, minimise the cost of conducting elections, streamline the process of counting votes and ensure that all votes are counted,” the article explained. While it does seem to have many benefits, Desouza and Somvanshi are not looking at this with rose-tinted lenses and are realistic about the limitations. However, their closing sentence speaks volumes about the potential role of blockchain in the future of the political sphere. The question is, as a voter, would you be comfortable casting your vote online across the blockchain or does the good old fashioned method of pencil, paper and a flimsy ballot box still hold the key to a voting method filled with integrity, honest and truth?